These methods reduce the number of server connections, thus significantly decreasing load speed. 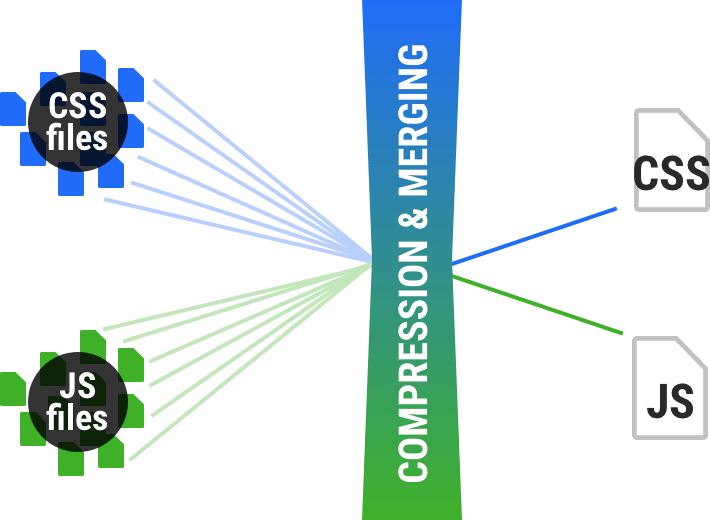 At Aitoc, we use smart compression techniques to significantly decrease file sizes while image resolution remains intact. The compression is carried out either manually or with the help of a custom script. Another option is a content delivery network (CDN). It is extremely handy for online stores that serve customers all over the world, as it minimizes latency time and helps web pages to deliver static content to geographically scattered audiences at extremely high speed. We clean the code by reviewing it and removing all unused or redundant fragments (usually unfinished functional blocks left by developers) that the system perceives as working units. The system slows down core processes by executing these code fragments during each page load. Databases rarely need any tweaking, as merchants get an optimized and stabilized system by setting up a database in the default Magento. To make the database to work faster, a simple HDD upgrade can be applied in most cases. If they need a more complex solution, the deployment of Magento components (e.g., database) on different servers along with the optimization of database queries can help, though it will require more system administrator’s hours on a regular basis. 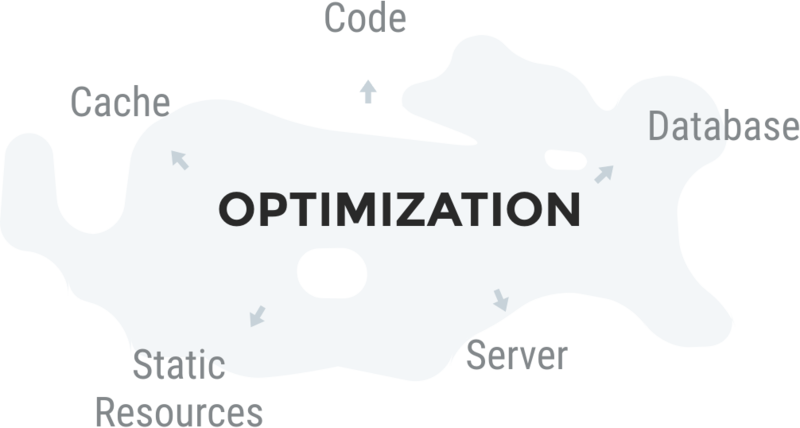 The server optimization process involves both system and security fixes. System fixes help set up a perfect environment for Magento. Some vulnerabilities can take place, no matter whether you run a physical server, a VPS, a shared hosting or any other solution. They get fixed with security patches from time to time. Implementation of changes and testing them on a staging server first is the best practice of server maintenance. Once the changes are tested and a customer’s approval is received, developers upload these changes to the live server. Security fixes are made by installing patches. The automatic installation can be executed if there are no modifications in core Magento files. In case there are any modifications, patches can be applied manually, though it will take much time. We understand that each case is unique, and there is no quick fix. Aitoc is ready to help merchants optimize their sites’ performance by combining its expertise with powerful tools like it has done it for hundreds of store owners.